The Resort itself occupies a land area of some 12 acres, nestled in one of the most private and peaceful spots between the hills of Khaolak and its famous beaches. An outstanding feature of this "Paradise within a paradise" is its situation on gently sloping grounds that rolls right out to the beachfront, Most of bungalows are built on the edge of the resort's 400 metres length private beach, enabling our guests to conveniently stroll along the soft golden sand or go for a dip in the clear blue waters of the Andaman Sea. Alternatively you can relax beside our freeform swimming pool sipping your favourite drink served from the nearby poolside bar. The evening will also provide an opportunity to enjoy a panoramic view of the setting sun. Jasmine Restaurant facing the beach and located at a level above the sea provides the ideal atmosphere for a panoramic view of the sunset while enjoying your favorite dishes of Thai or International Food. The seafood that goes into our preparation are freshly caught from the sea and here you can also enjoy our tasty and delicious menu from The Kumpan Boat, our demonstration kitchen. 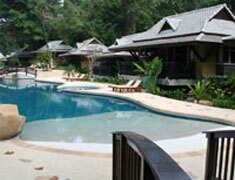 Pool Bar: "The Khao Lak Bar"
The Khaolak Bar is located beside Khaolak Pool. It has a wide selection of light cocktails and meals served among the freshness of the shady garden ground and privacy of the golden beach. The Hut facing the beach. 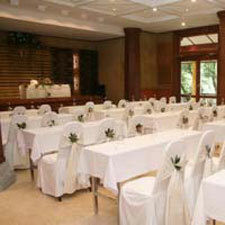 Enjoy your favorite refreshment food and snacks in relaxing atmosphere. Swimming Pool: "Khao Lak Pool"
Khaolak Pool, the out door free-from swimming pool is located facing the beach, swimmers are able to enjoy the seaview, especially during sunset. 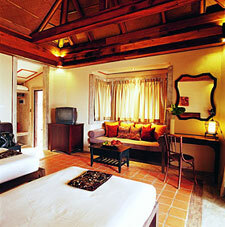 1.1 Deluxe Bungalows beach front - 20 rooms all with seaview and situated on the beachfront next to the beach. 1.2 Superior Bungalows - 32 rooms all facing the sea. 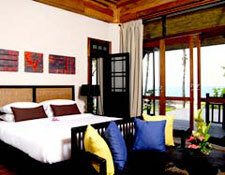 2.1 Superior Room - 42 rooms all with sea view..
2.2 Khaolak Suite 1 room with sea view. Area of 53.13 Sq.m., comprising of 1 living room, 1 bedroom and bathroom attached. 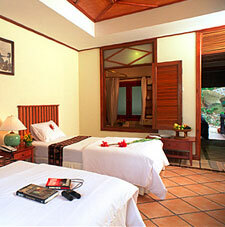 - All rooms have a private balcony for viewing the sunset or just to enjoy the cool breeze and fresh air. 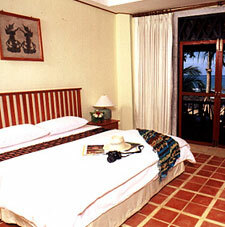 - All air-conditioned rooms have fan, refrigerator with mini-bar, telephone, cable television. 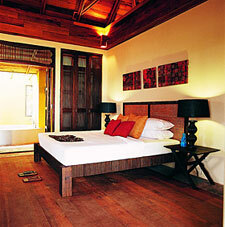 - All bathrooms are also fitted with a bathtub and hot water system.